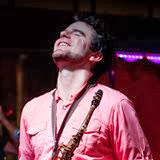 Modern jazz, incorporating elements of R&B, street music, and rock: such is the music of saxophonist Brad Walker, and it’s taking the New Orleans music scene by storm. 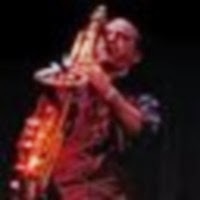 In addition to collaborations with local heavy hitters Eric Lindell, Colin Lake, and Johnny Sketch and the Dirty Notes, the compelling music of his unique jazz quartet is a major indicator of the effect he's had in his short time in the Crescent City. Originally from North Carolina, Walker’s affinity for the saxophone brought him to study at LSU, where he was a top student. Ready to see what else the music world held for him, Brad moved to Brooklyn where he absorbed the sounds of New York City, listening to the legendary virtuosos who played the Blue Note, Village Vanguard and the Stone. Inspired to make his mark on the music world, Brad decided to leave NYC and settled into the perfect place for a young saxophonist: New Orleans. Upon arrival, Brad delved head first into the New Orleans music scene by playing with some of the biggest names in the area. 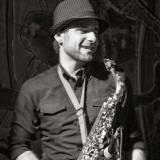 From his work as performer and arranger with roots rock dynamos Eric Lindell and Colin Lake to collaborations with, Aurora Nealand, Jeff Albert, Helen Gillet and others in his experimental project [redrawblak], Walker’s impact on the city has been wide, and his work with such creative minded individuals inspired Brad to begin his own modern jazz Quartet. Walker enlisted three musical heavyweights to fulfill his vision: Simon Lott, Brian Seeger and James Singleton. The mutual respect between these four musicians have helped cultivate Walker’s musical vision into an exciting reality. Together they seamlessly blend the language of modern jazz with electric flavors of rock, funk, and soul, creating a distinct sound that stands out even from within the vibrant New Orleans music scene.